This Instant Pot LUX80 8 Qt 6-in-1 Multi- Use Programmable Pressure Cooker for now available in the Amazon Black Friday Sale for $59 shipped (Retail $99)! 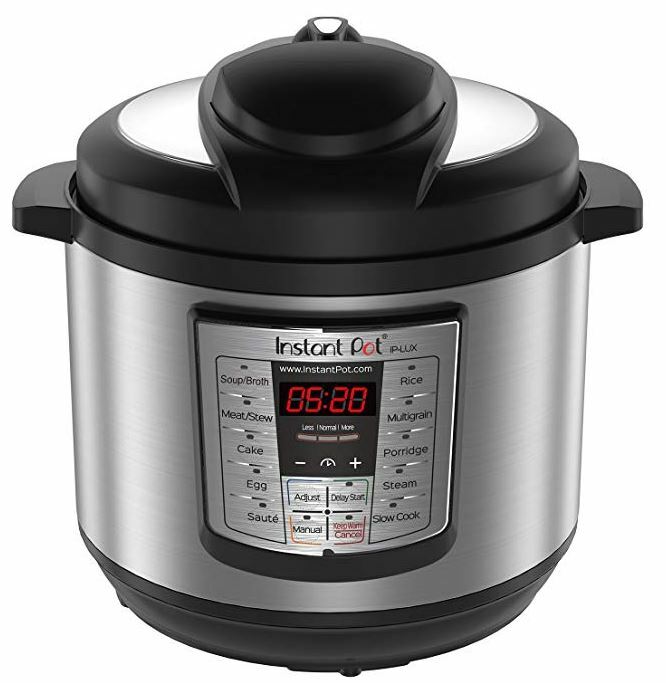 This Instant Pot multi-cooker combines 6 kitchen appliances in 1 – Pressure Cooker, Slow Cooker, Rice Cooker, Sauté, Steamer, and Warmer. Even better, you'll be able to prepare meals much faster than conventional cooking. Please note this item does not have a yogurt function. Check out all of the Amazon Deals HERE.